Ugh. A dirty pan left in the sink all day. I HATE finding dirty dishes left in the sink. I work from home so today I’ll be looking at this gross pan all day. I guess Kristen, 22, forgot I wrote a book on how childhood chores cultivate capable confident young people and that I’ve retired as the family servant! It’s ironic because Kristen lived with three slobs in her apartment during her senior year of college. Their kitchen and bathroom were disgusting. No one ever cleaned up their mess. When I saw the kitchen last week, it was pretty bad. Kristen said it was relatively clean compared to its usual condition. Maybe I’ll leave her a copy of my book where she can see it. The note is a form of mutual respect. It’s better than nagging. It’s how I would treat a roommate. A note is a form of mutual respect. Did she forget I wrote a book on chores? This entry was posted on May 28, 2010 at 10:47 am and is filed under chores, Encouragement, How chores empower children, motivation. You can subscribe via RSS 2.0 feed to this post's comments. Umm… the note isn’t good roommate communication. It’s passive aggressive seeming! 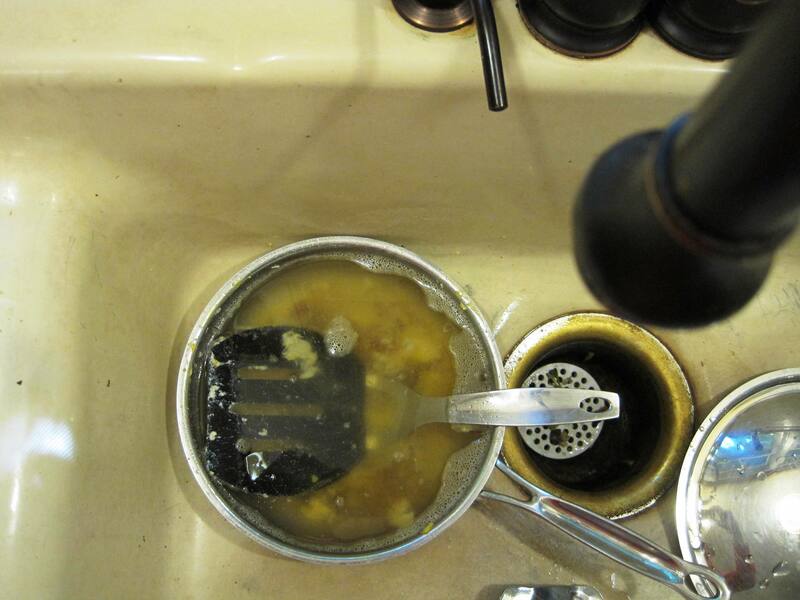 Though it is funny that she left the pan there, considering how much she used to complain about her roommates. It does look like she burned something… which would require a soaking. Wait! Who wrote that note? I am lost here. Where is the link to the book about kids and chores? THanks in advance.